This example shows an induction machine used as a wind turbine generator. The Simple Turbine block converts wind speed to turbine output power by a simple output power versus wind speed characteristic. When the wind speed is below the cut-in speed or above the cut-out speed, the machine generates zero real power. The machine always consumes reactive power. 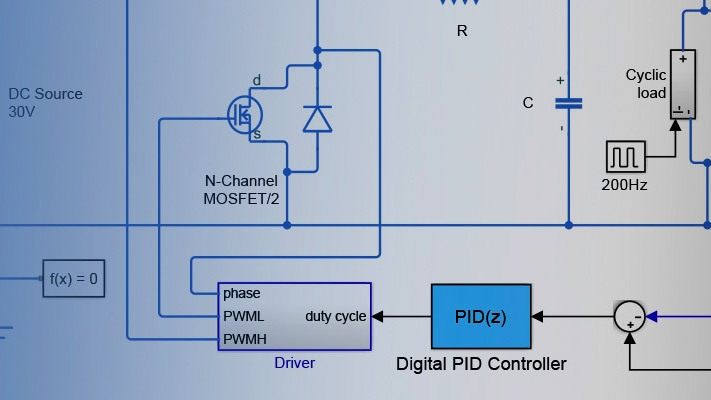 The Reactive Compensation block offsets the machine's reactive power requirement. The local load consumes 75kW. The infeed from the power grid meets any wind turbine generation shortfall. When the generator produces more than 75kW, excess power is exported to the grid. The reactive power compensator is dimensioned to supply 90 kvar when a 440 V phase-to-phase voltage is applied across its terminals. 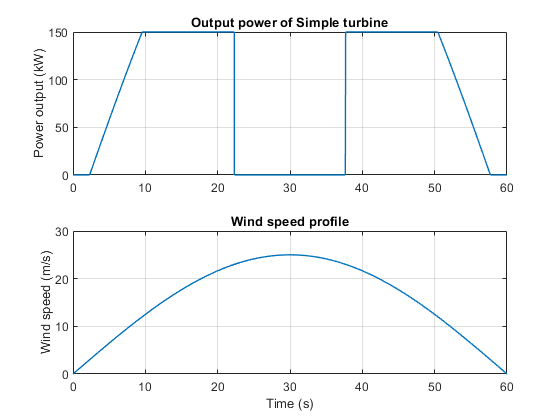 The plot below shows the input wind speed and output power of the Simple turbine block.